Universal Studios Hollywood has made several announcements today to ensure that guests have a spooktacular time at the park this Halloween. First, Universal Studios Hollywood will invite kids to dress up in their favorite Halloween costumes and go trick-or-treating in the park for the first time ever, on Saturday, October 27 and Sunday, October 28 from 10am to 4pm. A Halloween party will also be held Plaza with a live DJ, music, games and costume showcase. See Hello Kitty as The Bride of Frankenstein and other Halloween characters at Universal Studios Hollywood on Saturday, October 27 and Sunday, October 28 from 10am to 4pm. 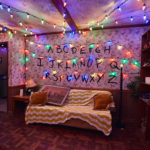 Second, guests will be invited to step into the Upside Down during the day for a lights on experience in the Stranger Things maze from Monday, October 29 through Friday, November 2. Guests can enjoy self-guided tours of the movie-quality sets in this maze, all included in the price of admission to the park. And finally, due to popular demand, Halloween Horror Nights has been extended to include Sunday, November 4, giving guests one more night of screams. 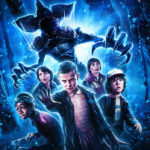 Enjoy a lights on experience in the “Stranger Things” maze from Monday, October 29 through Friday, November 2. Universal Studios Hollywood teamed up with Grammy award-winning and Rock and Roll Hall of Fame guitarist SLASH to create an original score for the Universal Monsters maze, available now on spotify. Universal Studios Hollywood announced the addition of glistening snowfall to the holiday festivities of Christmas at The Wizarding World of Harry Potter. 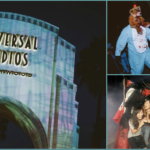 Get a glimpse of the horror and check out our videos of Halloween Horror Nights 2018 at Universal Studios Hollywood.